BATON ROUGE, LA (WAFB) - The Southern Jaguars will play host to No. 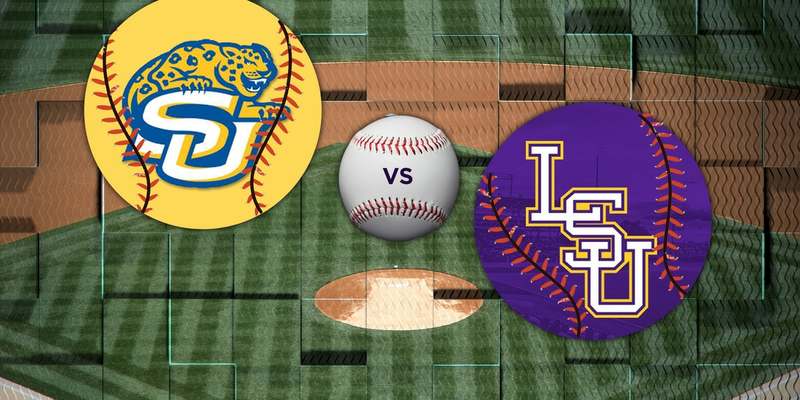 8 LSU Tuesday at 6:30 p.m. at Lee-Hines Field. Southern is 17-15 overall this season and 10-2 in conference play. The Jags are currently in first place in the SWAC West. SU lost two out of three games against Memphis over weekend. The Tigers (23-10, 8-4), have won six of their last seven games and are tied for first in the SEC West with Arkansas and Ole Miss. The hot hitting Jags lead the SWAC with a .305 team batting average. Southern’s lineup is averaging 7.5 runs per game with 57 doubles, 23 triples and 19 home runs on the season. LSU is scoring 6.9 runs per game and is batting .278 as a team with 51 doubles, four triples and 30 home runs.